Apex Legends is the new game in town. After the phenomenal success of Fortnite, video game companies wanted to get in on their share of the action. Unsurprisingly, Electronic Arts (EA) was at the forefront of this emerging market. EA are no strangers to creating highly addictive, and financially lucrative, video games. They’re one of the largest gaming companies in the world, making over $5 billion in 2018. 1 1. Electronic Arts Made $5.1 Billion in Revenue in 2018 × As a result, they have both the time and the resources to create something that keeps players hooked (and spending money). Within two weeks of Apex Legends being released EA had already amassed 50 million players. 2 2. Apex Legends tops 50M players in first month × , making it one of the fastest growing games in history. Is Apex Legends addiction something that you need to worry about? Apex Legends is a Battle Royale shooter game aimed (no pun intended) towards a more mature audience than Fortnite. It is free-to-play (with in-game purchases)and rated 13+ in the US, and 16+ in the UK and Europe for its “sustained depictions of violence towards human characters”. The game is played in rounds (while the game is being played you cannot pause it without the potential of losing). Teams of three players battle 57 others to be the last ones standing. Because the game is “free-to-play”, the business model depends on players spending as much money as possible through in-game purchases 3 3. Everything You Need to Know About Apex Legends In-Game Currencies × . You can spend anywhere from $10-$40 at a time, with the majority of the items costing $11. Meaning you’d need to purchase the $19.99 option to be able to afford something useful. Not only that, but the items you can obtain through gameplay become increasingly frustrating to acquire as you rise through the ranks in-game. The systems in place make Apex Legends a lucrative sales funnel, and players with certain addictive tendencies towards gambling could end up losing a lot of money. Impaired control: Your gamer is struggling to limit or manage their time. Loss of interest in other activities: Your gamer’s life revolves around gaming and they may be neglecting normal life responsibilities. Continuing to play despite negative impact: Are their grades dropping? Are they struggling to gain or maintain employment? Is gaming having an impact on their relationships? First, you need to begin reducing gaming. Your target is to two hours or less a day, and ideally, not every day. 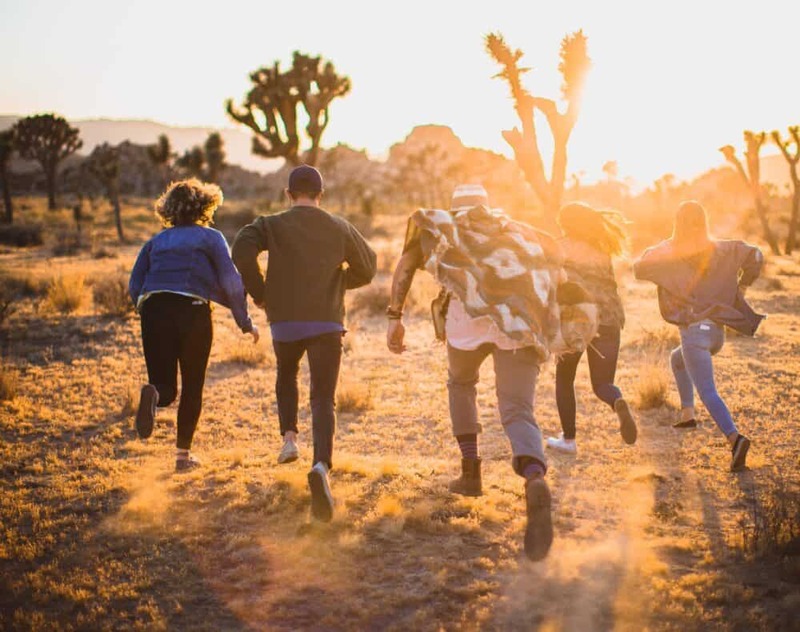 One strategy is to use “game-free” days as a way to earn “game days.” Many parents of adolescents have found it helpful to have no gaming Monday to Thursday and then limited gaming on the weekends. Next, you want to balance out gaming with multiple activities. Your target here is to keep gaming from being their single focus and only outlet to de-stress, socialize, and feel a sense of achievement. Integrate activities like exercise (sports), time in nature where possible, and in-person face-to-face interactions. Finally, you want to rebuild the family structure. Have dinners together as a family (without technology), and schedule activities together on the weekends. Whether your gamer is an “addict” or not, stop calling them one! It only creates more conflict and hurts rapport. Follow these three strategies and you will be able to start turning your son’s Apex Legends addiction around. For a full guide on how to help your loved one overcome their video game addiction, purchase a copy of Reclaim. Gaming Was a Huge Waste of Time, but Do I Regret It? I have been gaming since I was 8 years old, and I can’t remember a time in my life where the first thing I did when I got home wasn’t sitting down at my computer and playing a game. It has been 64 days since I deleted steam from my computer and 20 days since I dismantled my PC. Over 10 years of gaming I played with the same friend every weekend, joined many large communities, and also developed great friendships with other random people I’ve encountered. I’ve spent at least 10,000 hours on a Skype/Discord call, and at least 15,000 hours playing games. You would think that someone so “addicted” would have such a hard time quitting, but it was probably one of the easiest things I’ve ever done. So many people classified me as a gaming addict, but I wholeheartedly disagree still to this day. The problem was I didn’t have anything else to replace my time with. People would say “study more, or play a sport” – sure, but if I’m getting home at 4pm, and I study for a few extra hours, I’d still be playing at least 3-4 hours a night if I’m going to bed at midnight. Over my life I averaged between 40-60 hours gaming per week. Some days I gamed 16 hours a day on the weekend, and particularly during holidays. Since quitting, I’ve started multiple e-commerce businesses, made huge fitness gains, and been heaps more social. Rarely I might get a small urge to play a game, but honestly it’s rather insignificant. Quitting gaming is a rather extreme approach for any normal person to take, but it really depends on the person. Throughout my time gaming I developed a range of skills that are beneficial and applicable to my real life, and met many extraordinary people that have given me great life advice. The skills you develop from gaming will depend on what type of games you play. I spent a large amount of time playing MMORPG games, where I was able to build a respectable degree of wealth. I learned the concept of risk vs. reward, and developed negotiation skills. 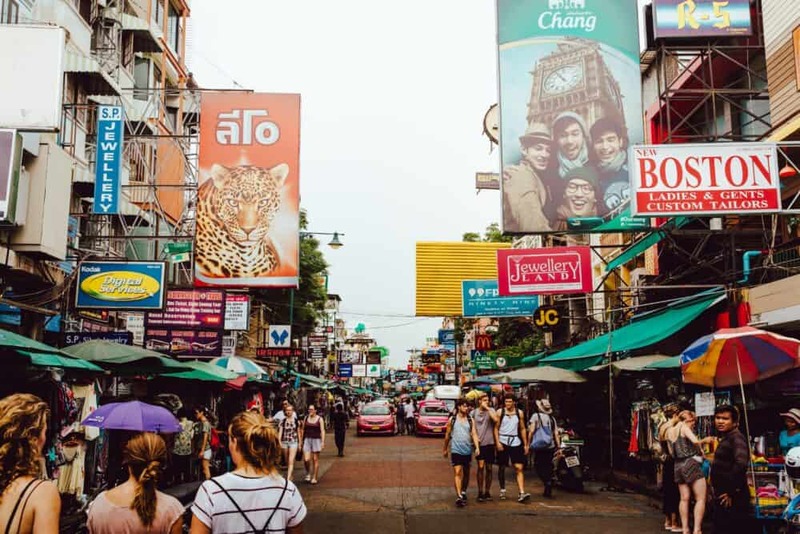 On a holiday in Phuket, Thailand I found myself saving large amounts of money by using negotiation techniques I had learned from games. Learning how to study a market and all the possible ways to earn wealth, then making a plan utilising them is a skill that can be applied to many forms of business. This has been particularly useful for me in creating an investment plan and budgeting real money. I also learned how gambling is not worth the risk no matter the wager, and that other forms of risk are much more worth taking. In many of the games I played I found myself connecting with much more experienced players, and I noticed how their wisdom was able to quickly progress my development in the game. This has benefited me in the real world, as I have been going to venues and public events trying to expand my network of people who can assist me and advise me with my business. It made me who I am today – it’s just time for me to move on and explore new avenues of living. I’m not going to tell anyone to quit, but I will say this: If you are considering stopping gaming, do it because you want to, not because other people want you to. If you don’t actually want to quit, then you will simply be another example of a relapsing drug addict. The only drug addicts that successfully quit are the ones who want to do so in the first place. I’m putting this out there because I just wanted share my experience quitting gaming. I will be returning to gaming for a short period of time when Skyrim 6 is released, but then after completion I’ll remove it. I do believe that you shouldn’t deprive yourself of your passions and joys, but when it begins to negatively impact the quality of your life, that’s when it becomes a problem. My only advice would be to set real, achievable goals to work towards that consume most of your day. That has been the biggest tool for my success. Thanks to everyone who read my story. Good luck to anyone on this journey with me! Game Quitters 2.0 Adds New Branding, Interactive Tools, Quizzes, and More! 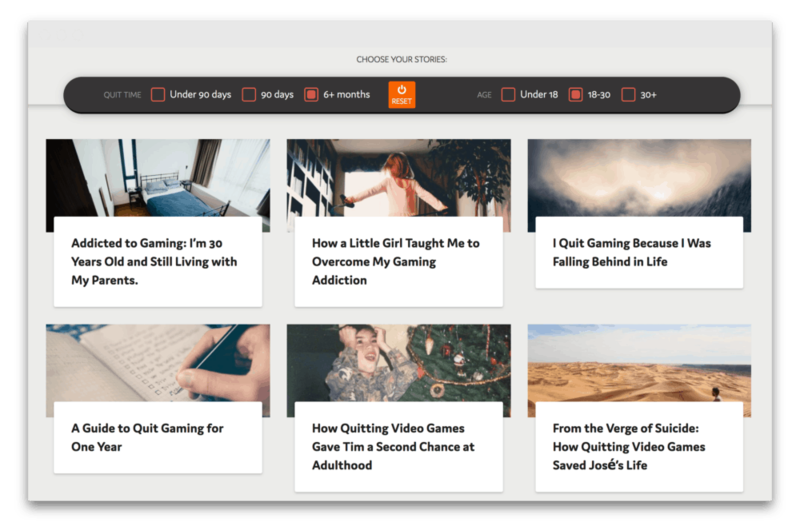 Game Quitters 2.0 introduces new interactive features and tools that allow you to take your video game addiction recovery to the next level. Want to see how? Read on. 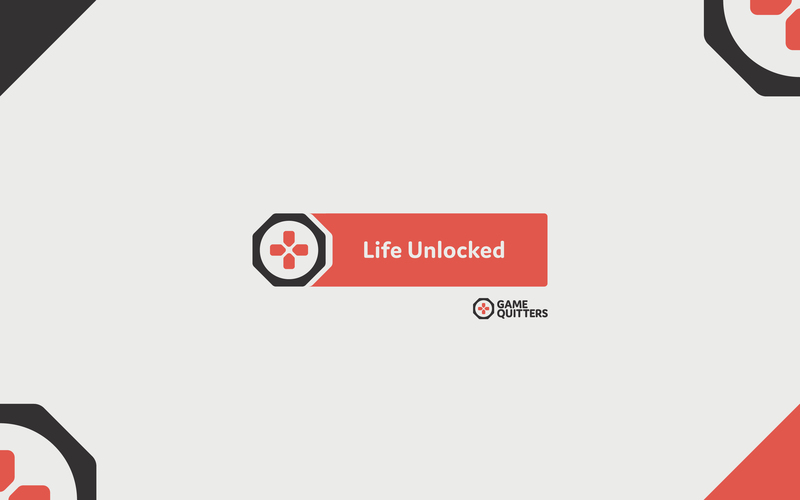 Game Quitters exists to provide the best tools, resources, and peer support for people struggling with a video game addiction. Today we are proud to announce a major upgrade to our platform to help us do just that. When I wrote our first blog post back in 2011 on ‘How to Quit Playing Video Games FOREVER’ I never imagined we would end up as the face of a global movement against video game addiction. 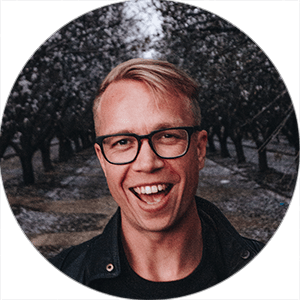 I never imagined that one blog post on a personal development blog would launch an international platform serving over 50,000 people each month representing 94 countries. But here we are. We take this responsibility seriously and as our platform has grown in numbers, so too has the need for it to grow in service. For the past few months I have been working tirelessly with a small team to bring you Game Quitters 2.0, transforming our mostly content-based site into an interactive recovery platform. 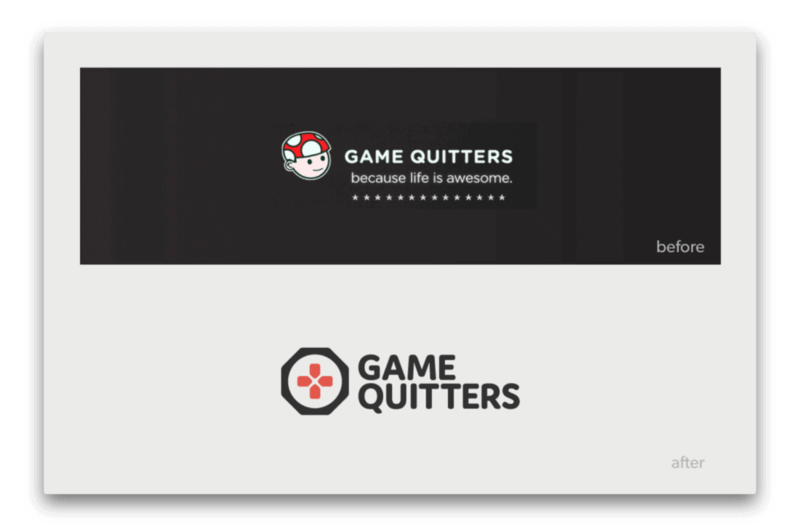 When we first launched Game Quitters our focus was on providing gamers with the resources they needed to overcome their video game addiction, and our brand goals were to be relatable, cool, and fun, while representing a community you could be proud of. Since then we have grown from a few blog posts and YouTube videos serving gamers, to international speaking tours, professional development trainings for therapists and mental health professionals, and advising public policy with government officials. It was time for our brand to reflect it. So I reached out to the best Art Director I know, Derek Heisler, and asked him if he would help me re-envision the Game Quitters’ identity, expressing both the brand we are today and the vision we have for the future. He nailed it. I can’t express how grateful I am to Derek. Not only is he a world class talent, but he’s a world class friend who has had my back in all ways, personally and professionally. To Derek, thank you for your tireless work on this project, your attention to detail, and going all-in with me. For anyone looking to upgrade their brand, photography, or overall art direction, I can’t recommend Derek enough. One of the most powerful ways we can spread awareness about video game addiction is by sharing our collective stories of struggle and redemption. We are the best advocates of the issue, because we have gone through it. We know the devastating impact it can have, not only to ourselves but those around us. By sharing your story you can inspire others to take action and get the help they need. I’ve made it a personal mission to collect as many real stories as possible of gaming addiction and today we have over 60 of them published on the website, along with over 30,000 journal entries from members on the forum. With so many stories already published (and more coming every day), we wanted to make it easier to find ones that would connect with you the most. So we worked with Alex from MD to build a new page layout and interactive tool to filter the stories. You can now select stories that are written by those who have quit for under 30 days, 90+ Days, or 6+ months. You can also find stories written by those under 18 years of age, 18-30 and over 30. We hope to add more filters in the future. I am on a mission to compile over 1,000 stories of gaming addicts. Want to help us achieve this goal? How do you know if you (or a loved one) have a video game addiction? What is the difference between a gaming passion and a gaming addiction? How severe is your situation? Find your answers with our new quizzes! Both the American Psychiatric Association (APA) and the World Health Organization (WHO) have provided evidence-based criteria to discern what a video game addiction is (or is not). For the APA they have a proposed set of nine criteria in the DSM-5 called Internet Gaming Disorder (IGD), and the WHO have an official diagnostic criteria of three-items called Gaming Disorder (GD). We took both of these into consideration, along with a recent published study of recommended improvements by Dr. Daniel King to create our video game addiction quiz for gamers and parents. These are informal screening tools with the intention of supporting you in better understanding the severity of your situation. For a proper assessment we recommend to seek the help of a professional. Since the beginning of Game Quitters, the number one question we receive from gaming addicts when they want to quit is “what else will I do with my time?” To help them find replacement activities we have traditionally provided a PDF list of 60+ new hobby ideas, categorized by activities that are active, relaxing, social, and achievement-based. Although gaming addicts have shared that this list has been helpful, we wanted to improve it by turning it into an interactive tool. Now you can find new hobbies that meet your chosen criteria. Want activities that help with being active? Achievement-based? Relaxing? Social? Mentally engaging? Creative? Looking for activities that are free, low cost (under $100), or able to be done at home? Want offline activities? Something easy to start? Or one of my personal favorites? Now you can! Select the filters you would like and instantly find new activity ideas. Each activity comes with a description and a list of resources to help you get started. HTTPS: Improved security for the website. /Team: Want to meet the team behind Game Quitters? Emergency Button: On the verge of a relapse? Find our quick resources on this page. Special thank you: Derek, Kevin Kulik, Alex, Emmanuel, Pieter Levels, WIP, our amazing community, and Board of Advisors for all of your help! Here’s to the next chapter. Should Gaming Companies Be Held Responsible for Gaming Addiction? ‘Gaming Disorder’ is a mental health condition, and it’s time the industry accepts its social responsibilities. Big Gaming denies addiction problems for its users, while booming to record revenues. Regulations and legislative efforts are on their way. Over the past 40 years the video game industry has boomed into an industry worth an anticipated $138 billion dollars in 2018—larger than both the film and music industries combined 1 1. Video game industry is booming with continued revenue × . Growth is projected to accelerate as engagement with young people is high—over 83% of teenagers play video games regularly 2 2. Pew: Teens, Social Media & Technology 2018 × —and infrastructure for organized professional gaming (eSports) continues to develop. Instead the industry argues that gaming is safe for most people, and in fact, beneficial 5 5. Gaming Industry Statement on Who Icd-11 List and the Inclusion of Gaming × . They suggest that a diagnosis for gaming addiction will create a moral panic, even though no empirical evidence has been presented to make their case. They describe games as “fun”, while neglecting to mention that fun is a chemical response of dopamine in your brain, and hide behind the notion that they are simply “making what people want,” with no regard to the fact that “what people want” may not always be what is positive for their overall well-being 6 6. Michal Napora, Game Developer Comments on Industry × . While true that gaming addiction impacts only around 4% of the total gaming population, with billions of gamers worldwide, even 4% is a substantial number. Regardless of the percentage of people who are affected, the fact remains that people do suffer from severe impairment from problematic gaming, and they should not be blocked from receiving necessary support 7 7. Orsolya, Loránd, 2017: Inclusion of Gaming Disorder in ICD has more advantages than disadvantages × . As the gaming industry has grown, so too has the public health need for gaming addiction 8 8. Rumpf et al., 2018: Including gaming disorder in the ICD-11: The need to do so from a clinical and public health perspective × . Adding warning labels to games about the potential harmful effects of overuse is a positive, albeit small, step forward. These are especially important to help parents understand when a game offers the opportunity for their children to spend additional money within the game through in-app purchases, micro-transactions, and/or loot boxes. Game developers should also implement personalized feedback mechanisms, including time tracking, pop-up notifications and self-restrictions, to support extreme users in breaking their pattern of excessive play. Not all game design is problematic, but some features are worse than others. Games that are less predictable by using variable reinforcement ratio schedules, games that have no end (continue on endlessly), and games that include loot boxes are three such addictive features. Instead of designing games to maximize the amount of time—and the amount of money—users spend in a game, game developers could be considering the potential harmful effects of addiction in the design phase itself, as pointed out by Shumaila Yousafzai, Zaheer Hussain, and Mark Griffiths 9 9. Time for the gaming industry to take addiction seriously × . Esports is growing rapidly with millions of players competing for the right to be the best in the world. Colleges are adding varsity teams and scholarships, and 19,500 high schools in the United States will soon have teams as well. This is a great opportunity for the gaming industry to leverage eSports for good by, i) providing all eSports players with a well-being handbook, ii) showing commercials at all tournaments with warning signs of addiction, and iii) investing a percentage of eSports revenue into healthy gaming campaigns and addiction prevention. Gaming companies have massive databases of players and their behavior patterns, equipping them with the information necessary to identify at-risk users, which they can then offer resources and services that can help. These four changes would play a significant role in combatting the harmful effects of gaming addiction on the lives of millions of people, a public service any company should be proud to provide. Not only will this help people who need help, but it will allow healthy gamers around the world to game in peace, without the risk of developing their own addiction. However, until Big Gaming decides to be a part of the solution, we should continue legislative pressure to hold these companies accountable for profiting off of addiction. Are Video Games the Cause of Rising Unemployment in Men? Employment rates for young men are dropping sharper than any other group. Is gaming to blame? Unemployment rates are rising for young men in their early 20s without bachelor degrees. 75% of the time they used to spend working is now spent gaming. Overexposure to gaming can cause structural brain changes that warp your perception of effort and reward. These changes can hurt your capacity to obtain employment. In the 1990s technology disruption of the workforce accelerated with the advent of computers and high-speed internet. Increased automation, globalization and digital platforms caused the nature of work to shift forever. But these were not the only technologies that would have an impact on the workforce, and another may surprise you: video games. Why Work When You Can Game Instead? Over the last 15 years as video game usage has increased, so too has unemployment for young men in their early 20s 1 1. Aguiar, Bils, Charles, Hurst, 2017: Leisure Luxuries and the Labor Supply of Young Men × . Not going to school, and without a bachelor’s degree, these young men have replaced 75% of the time they used to spend working with playing video games. Most alarming of all, happiness surveys show they aren’t unhappy in life, in fact, they are content. What could be better than playing video games all day? That is until they reach their 30s and that contentment leads to depression as they realize how far behind in life they are, without adequate skills to acquire work and provide for a family. We see this phenomenon reflected in the Game Quitters community, with 44% of our members unemployed, 21% working part-time or casually, and only 35% in full-time employment. The majority of our community are men aged 18-32, and 60% of them earn less than $500 each month. When you struggle with a video game addiction, merely undertaking necessary and normal every activities is a full-time job. This level of impairment hurts your capacity to obtain employment, or perform if you have managed to get one. A study 2 2. Rumpf et al., 2014 × in Europe found that gaming addicts reported missing 7.5 days of work in the last 12 months, the same amount as those who struggle with social phobia, but higher than those with depression (4.1 days) and cardiovascular conditions (7.2 days) 3 3. Alonso et al., 2011 × . It’s difficult to work if you struggle with a gaming addiction. Gaming is all-encompassing. You get lost in it for hours and hours without even noticing. It becomes your world. And this has an impact on our economy. In South Korea, a study estimated the socioeconomic loss due to excessive internet use to be between 1.5 and 4.5 billion dollars in 2009 4 4. Lee, H. K., Kim, H. S., & Lee, T. J. (2011). Cost-effect analysis on the introduction of online game shut down regulation. Seoul, Republic of Korea: Ministry of Gender Equality & Family × . Imagine what the socioeconomic impact is worldwide when young men are too busy gaming to be working and contributing to society. I struggled with this myself. Addicted to video games, I withdrew from the real world. I dropped out of high school, never graduated, and while all of my friends were off to college, I was at home playing video games up to 16 hours a day. As much as I had fun playing games, I also struggled with depression. Since I wasn’t going to school my parents told me I had to get a job, so I ‘got’ one at a restaurant as a prep cook. Except I didn’t actually get the job, and instead, pretended to have it. Every morning, after gaming all night, my dad would drop me off at the restaurant for work. As soon as he drove off I would walk across the street and catch the bus back home, sneaking in through my window, and going to sleep. This would go on for a few weeks before naturally they would ask me where the paycheck was, which is when I would make up an excuse and say I quit or I got fired or whatever else I could suggest to deceive them with. Then I would pretend to get a new job, rinse and repeat. Eventually as much as gaming allowed me to escape from my situation it didn’t actually fix it, and my depression got to a point where I wrote a suicide note. It was this night where I realized I needed to make a change, and that change began with quitting gaming. I started to see a counsellor, and this counsellor helped me get—and keep—a job. This was the turning point in my life. But it wasn’t easy, and for a month every morning before work I would throw up in the shower. My anxiety to quit gaming, leave the house, and work was that intense. I missed the majority of my shifts the first month of work. I should have been fired quickly, but due to reasons I will never know, I was not. You could say it was divine intervention. Through the support of my family, my counsellor, and a deep commitment to make a change in my life, I was able to persevere and maintain my job. I began to rebuild my life without video games. So why does this happen? How are these bright young men with all the potential in the world getting caught in a web of gaming and unemployment? Video games are intentionally designed to keep you hooked using state-of-the-art behavioral psychology. Overexposure to this type of game design and hyper-stimulation can cause structural changes to your brain, including numbed pleasure response—every day activities no longer satisfy you, hyper-reactivity to gaming—gaming is really exciting and everything else is boring, and willpower erosion—even if you wanted to quit you would struggle to have the willpower anyways. Imaging studies show an impact to brain regions involved in decision-making, behavioral inhibition, and emotional regulation 5 5. Weinstein, 2017 × . Gaming addicts also show increased risk-taking choices, and an impaired ability to control their impulses. Further, gaming addiction is association with dopamine deficiency, which studies have found impacts your desire and willingness to work 6 6. Weinstein, Livny, & Weizman, 2017 × . When you put effort into a video game, you improve. You see measurable progress with a score flashing across the screen, a leaderboard, and/or a mission completed. Games are explicit in their expectations and consistent in their rewards—many of which you receive through instant gratification. Real life doesn’t work the same way, with actions and outcomes often having no linear relationship. To a gamer this inconsistency can be extremely demotivating, especially when it comes to pursuing employment through the job market. Why pursue work that requires effort, with no guarantee of a reward, when you could simply game all day instead? Gaming provides more control over your experience and the results you achieve, regardless of whether they are respected in the real world or not. Jane McGonigal, a video game scholar and game designer, has shared with the New York Times that “games provide a sense of waking in the morning with one goal: I’m trying to improve this skill. There is a routine and daily progress that does a good job at replacing traditional work.” Many modern games are also designed to have no end. You can continue to play them indefinitely, one more mission—and day without a job—at a time. If you apply for a job and don’t get it, you experience rejection and that hurts. On the contrary, if you die in a video game you just press restart and try again. There is no risk. This level of comfort that gaming provides helps to explain why men are leaving the workforce to disappear into video games instead. When it comes to unemployment there are multiple factors you can point to for blame: stagnant wages, a poor job market, globalization, automation, and the Great Recession to name a few. These are all important in their own right and we must be aware of them, but the fact remains, employment rates for young men in their early 20s are dropping swiftly, and they are escaping into video games with their newfound freedom. To combat this as a society we must do more to recognize video game addiction and offer support services for those who struggle with it. We must break the stigma, as it only further isolates those who desperately need help. This isn’t only a public health crisis, but an economic one. For gaming addicts struggling to find employment, treat the job search like a game. Set a goal of how many job applications you will submit each day. And whether you hear back or not, you can always press the restart button and try again tomorrow. Reflect on the types of games you play and what you like about them. Do you play competitive games? Or role-playing games? What do the types of games you play help you learn about the types of jobs you could pursue? What skills can you develop to improve your employment prospects? You are the character you are building in this game of life. Be patient and take it one day at a time.